Meet Easil, the DIY design secret weapon your whole team will love. Our easy to use brand tools will ensure your designs are used in the right way by your team, every time. 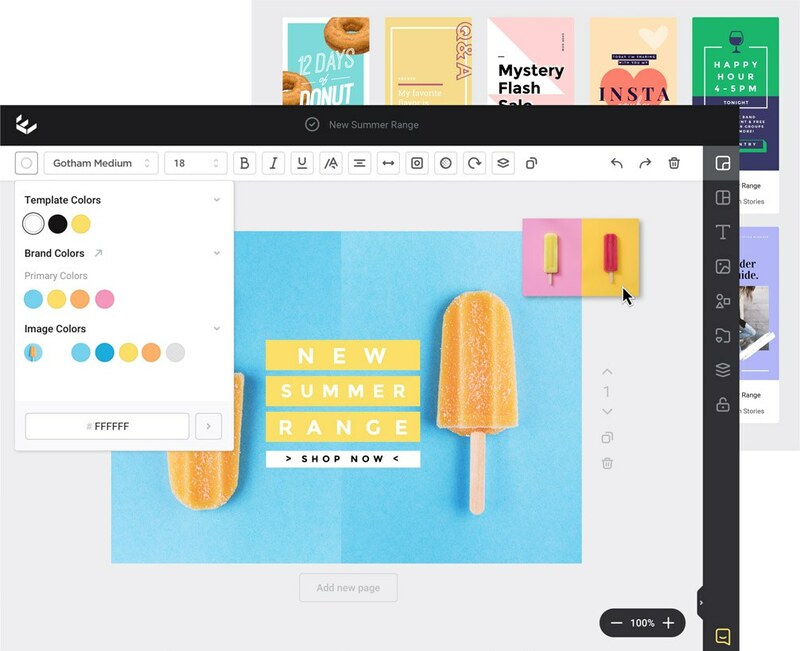 Easil is the Drag-and-Drop design tool that helps you create visual content that’s SO good, it looks like a Pro designed it. You’ll be creating posters, flyers, social media graphics, GIFs, menus and more with Easil’s modern, edgy templates. Or build a catalogue of exclusive brand templates to share, just with your own team. 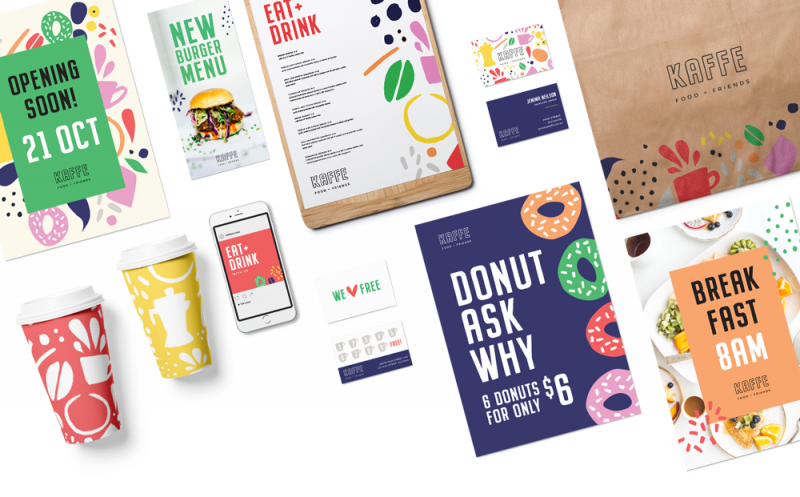 Easil’s Brand Kit lets you store and access the right colors, fonts, imagery and logos for your brand in the one place, every time. From header and body fonts, to trademarks and multiple color palettes, Brand Kit is always up to date and ready to use. Now you can access multiple assets for projects, quickly and easily, whether solo or in a team. Brand Kit is at your fingertips, 24/7. Easil’s Brand Restrictions bring a new level of control to your entire team from small businesses to large multiple-team corporations. Create and control how your team accesses, edits and shares custom designs – element by element. Once set, Brand Restrictions define which layers, elements, fonts, colors and images can be edited – in seconds. All you need to do is toggle on or off. No coding required. Easil features… that you’ll love. Select any layout and edit with our range of easy to use online tools. There’s nothing extra to pay to use the standard images or graphics as displayed. 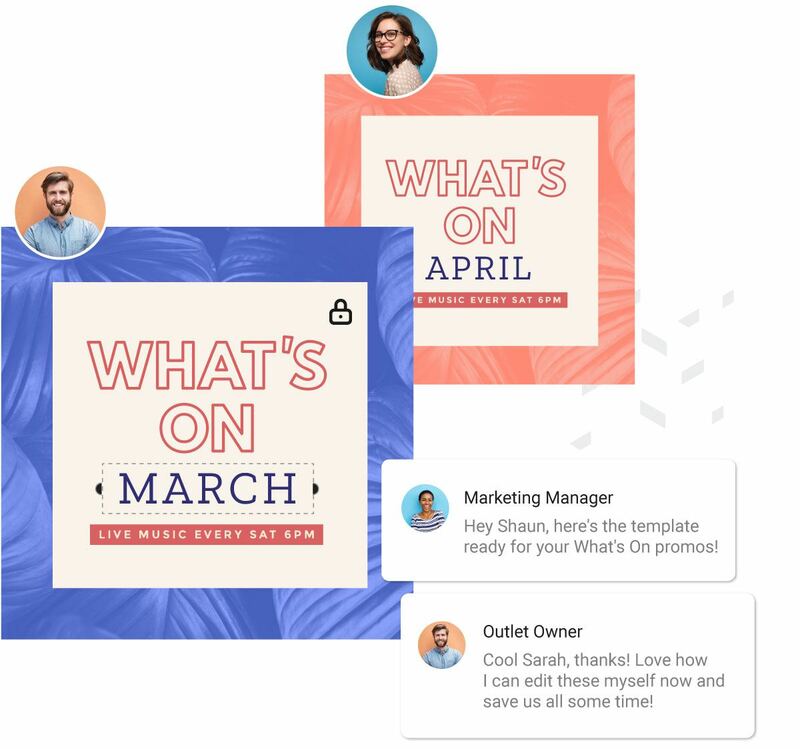 on-trend templates you can edit in a few clicks. Our designers bring years of experience to our pro-quality layouts, so you’ll stand out from everyone else’s cookie-cutter creations. Got multiple digital channels to promote on? Design your graphics then resize in a snap with Easil’s resizing tool. Easily resize and repurpose templates for social media, posters, banners, menus, infographics, GIFs and more. Easil’s Color Palette Generator lets you change colors like a whiz. Colors and tones are automatically pulled in from your images or photos – so now you can get the right colors every time. No more guessing! With Brand Kit, your Brand Manager can easily upload default brand fonts, color palettes, logos and imagery – ready for your entire team to use. 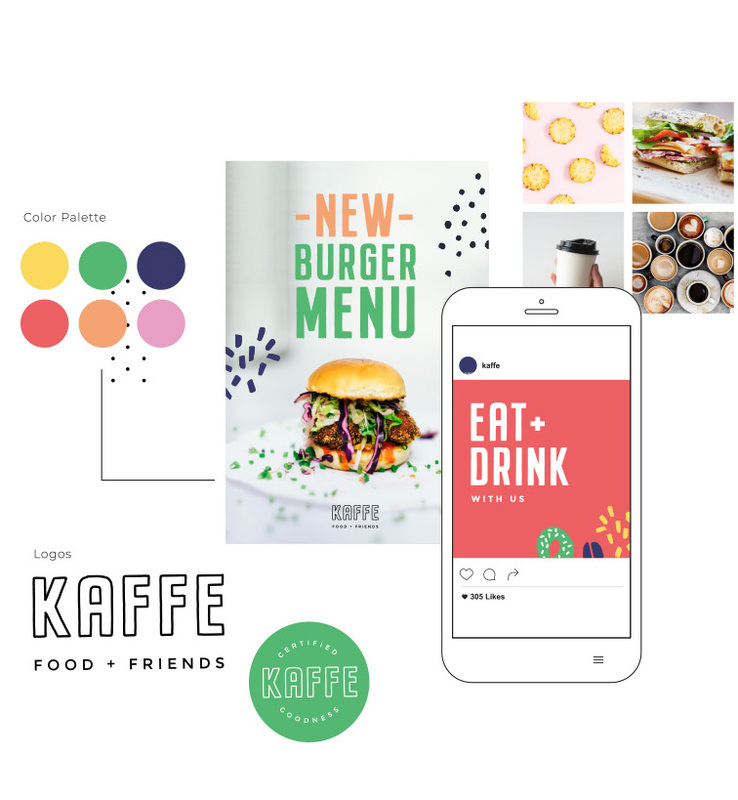 Now your whole team can access ALL of your brand assets in a snap, ready to create pro-quality designs, every time. Toggle features, tools and assets on or off in seconds, allowing or locking access across your small team or multi-level company. Now your entire team can access, edit and share custom designs with the right logos, fonts and elements. 100% brand consistency. - as many as you like! 100s of stunning font combinations are ready to go for you in Easil’s dashboard. Or if you need to stay on brand, simply upload your own brand fonts ready to use for any project. Your Typography will stand out and catch attention when you use Easil. Easil is the trusted solution for businesses looking to get an edge on the competition. Start creating your first design in seconds! It’s FREE to use Easil, and we’ll even upgrade you to the Plus plan for the first 30 days!